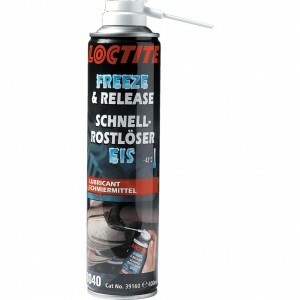 Loctite Freeze & Release instantly freezes seized and rusted bolts, nuts, studs down to -45 Deg.F (-.. Specially formulated compound for all 2- and 4- stroke engines that forms a protective barrier again.. Speed Six is a performance lubricant predominately made from Lanolin, a wax extract from Sheep&apos;.. Prevents corrosion when storing inboard or outboard engines for an extended period of time.Features ..